The basis of having healthy finances is having a fallback plan, also known as an emergency fund. In fact, it is what Dave Ramsey often calls “Baby Step One.” Save $1000 a month (or within a month) to lay a good foundation for your finances. However, very few people heed this warning. I’m embarrassed to say I currently have no emergency fund in place. But is it possible, what Ramsey is suggesting? 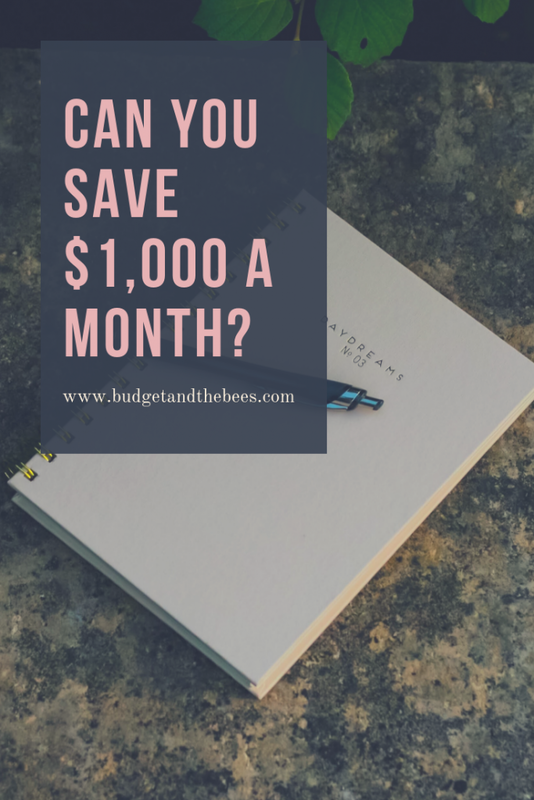 Can you really save $1000 in a month? It is possible to save $1000 in a month. Although it may seem impossible right now, here are a few savings tips that will help you achieve what is (even for me) just now a dream. First, you have to have more of a connection with your money. Set a life-changing goal and imagine your life after reaching that goal. How does that make you feel? Write it out and keep it so that when you are having a tough time with your savings goal, or another financial goal, you’ll remember why you’re doing this, to begin with. Make sure that goals you are setting yourself are specific. Say something like, “My goal is to save $1000 a month so that I’ll feel more stable to begin paying off my debt,” or “My goal is to pay off $500 in debt this month.” Don’t leave it up to a simple, “I want to save more money.” Without specifics, you won’t take it as seriously. It is easy to get bogged down with it not being possible or how hard it will be. Saving is hard. Getting out of debt is rough. But you can do it! As a tip, try to go 24 hours without saying anything negative about your finances. This will create an entirely new mindset for yourself. This some compulsive but, where your finances are concerned, you should be. Knowing where you are spending money is the first step in truly understanding where your finances stand and where you can save. Not to mention, checking your account can alert you to other things as well. For instance, I checked my account and saw I was being charged for a service I had only used once and intended on canceling. I called immediately and had it canceled, saving me $20 a month. After you know about how much you’re spending, review your budget and identify areas where you can cut costs. For instance, if you’re spending $200 a month on entertainment but you have no savings and debt to pay off, it is safe to say you can trim that down. That being said, cutting costs and cutting activities can mean a big change in your day-to-day habits and how you handle finances. As mentioned above, you may not go out as much, or when you do you may be using coupons or seem frugal. Remember, this is all in attempt to better your overall financial situation. After you’ve gotten into the habit of saving money where you can, seek out ways to make more money. Clean out your closets and hold a yard sale. Post items for sale online. Look for additional income through side jobs. Whatever your approach may be, making more is always a good thing. You can put every penny of it towards savings and/or paying off debt. So, heeding my own advice, I’ll be attempting to save $1000 during the month of November to give you all time to join in on the challenge. Are you up for it? Can you save $1000 in November with me? Sign up for our newsletter for regular savings and budget updates straight to your inbox. Extended Stays: Could You Be Saving Money Renting?